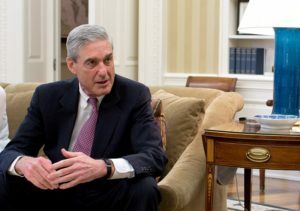 On Feb. 4, Stone’s attorney released compelling evidence indicating that it was someone from Mueller’s team who probably tipped off CNN about the raid on the house of Stone, a high-profile political adviser to President Trump. A CNN camera crew set up in front of Stone’s house about an hour before 29 agents wielding riot gear and heavy weapons conducted their pre-dawn raid against the flamboyant consultant. CNN at first claimed it had done independent leg-work to deduce that the raid might be forthcoming that morning. Stone attorney Grant J. Smith, however, claims otherwise. He said CNN reporter Sara Murray contacted him to ask about the arrest within six minutes of the first knock on Stone’s door, and that 11 minutes after that she sent him a copy of the indictment that did not include notations showing that the documents had been received by the court.